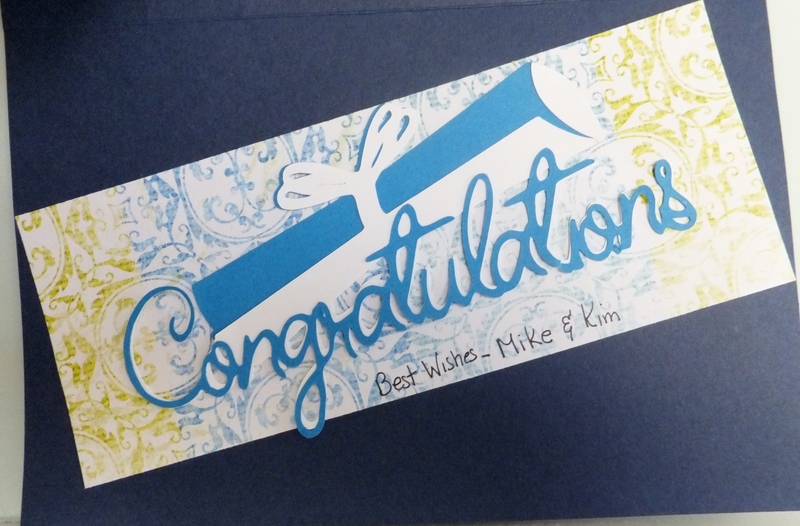 This past weekend was invited to a graduation party and this is the card I made for the graduate. He graduated from Zanesville High School and their school colors are blue and white. I used the Cricut cartridge “Wrap It up”. I have used this cartridge for quite a few cards. 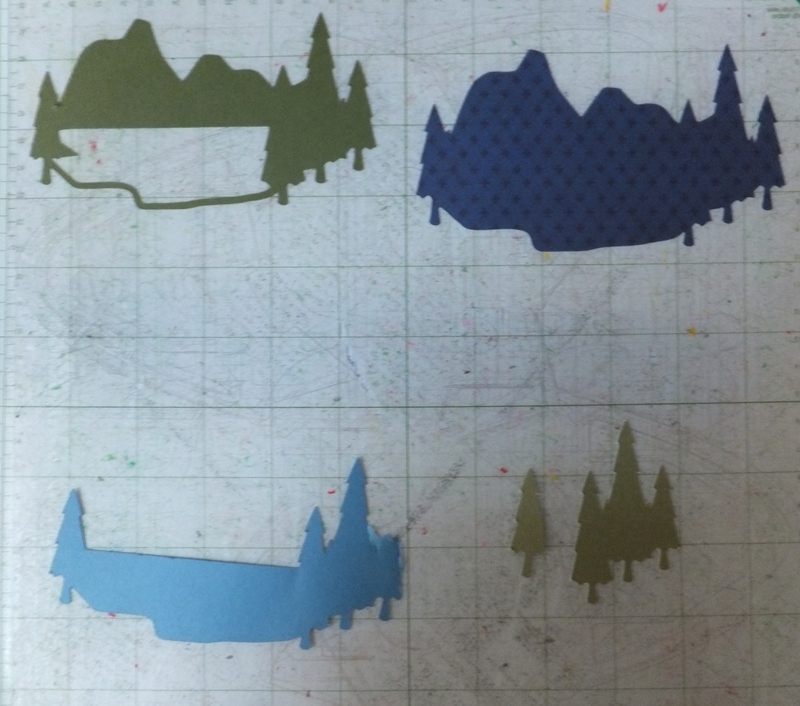 I used a Stampin Up punch on the top of the page to make it look like it was torn from a notebook. The “Z” was cut using the Zooballo Cartridge. 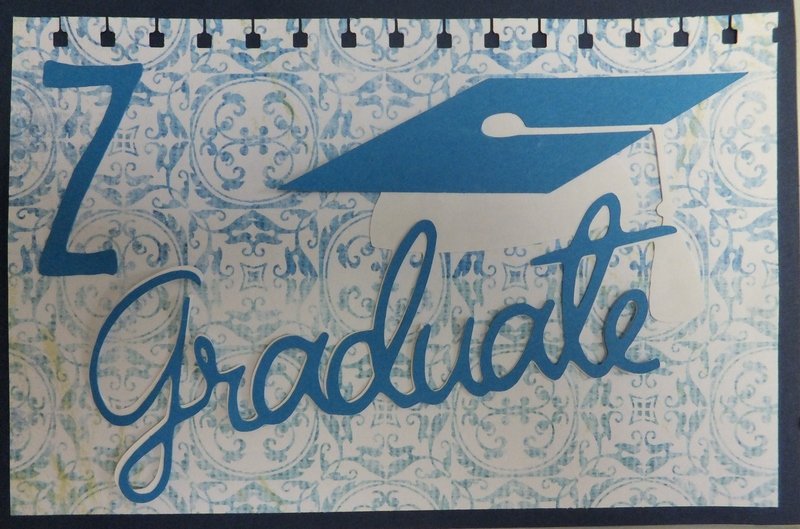 This is the inside of the card, which was also cut using the “Wrap It Up” Cricut cartridge. This is the card in another color-way. Happy cutting!! This past week I also got to cross another UFO off my list. It was the OSU pillow. This is what the UFO looked like going out the door. 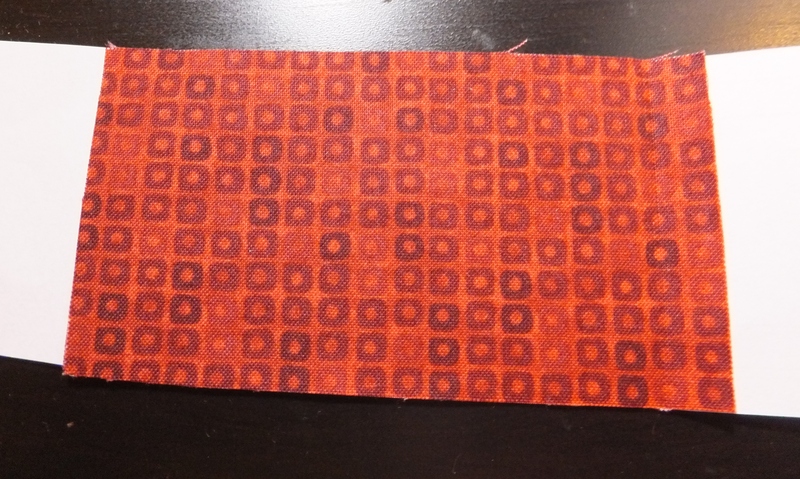 I had the center completed and the fabric. My friend Linda brought a copy of the pattern. I made one for an auction the we had a few years ago and my friend, Diane bought it for her daughter. She is going to make this one for her and I was happy to be able to send it on ist’s way. So #68 is now off the UFO list, but I am sorry to say I have added 4 to the never-ending list! Happy Summer!!!!!! Oops! 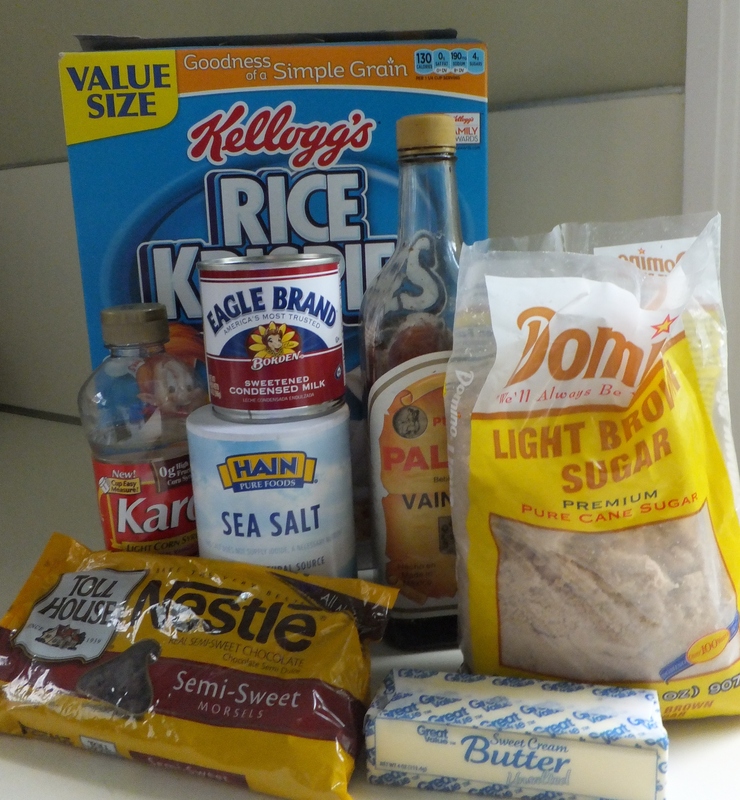 I forgot to put the white sugar in the picture! 2. 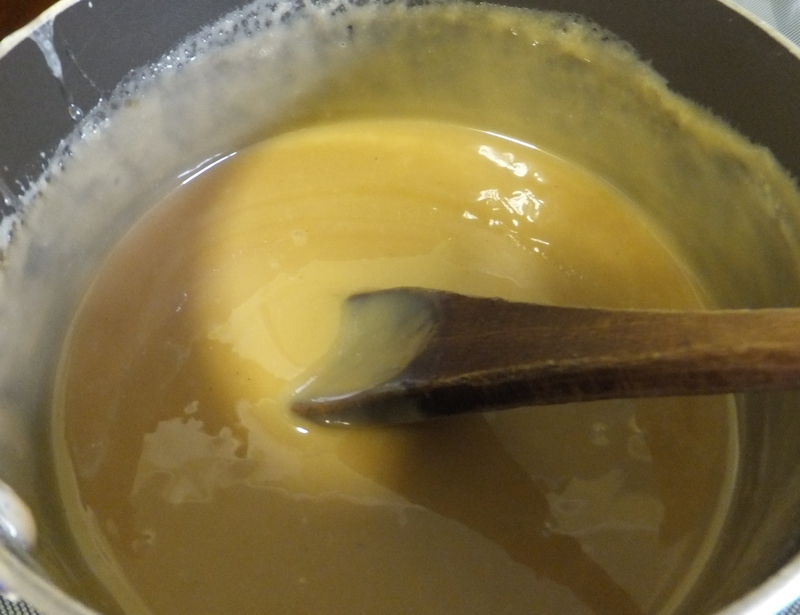 In medium saucepan over medium-high heat, combine corn syrup, condensed milk, sugars, butter and sea salt. 3. 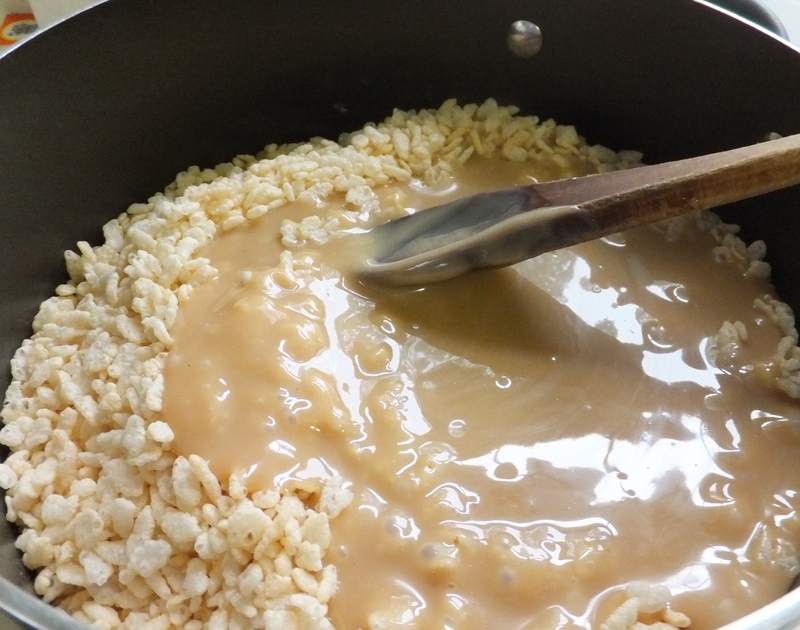 Remove mixture from heat, stir in vanilla and immediately pour over cereal. 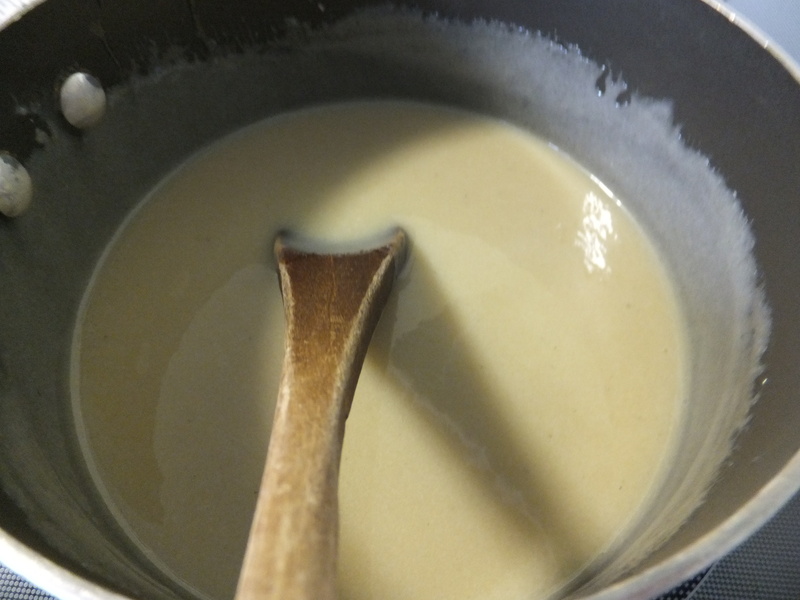 Stir to completely mix and then evenly spread in prepared baking dish. 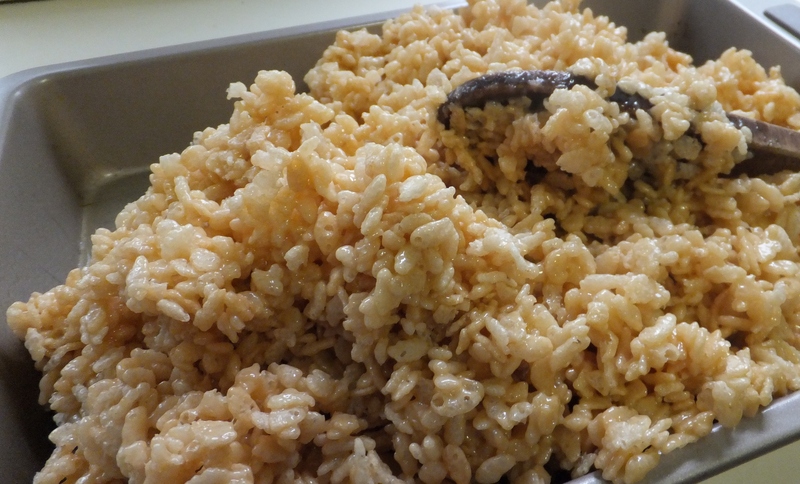 Smash the treats into the prepared pan. 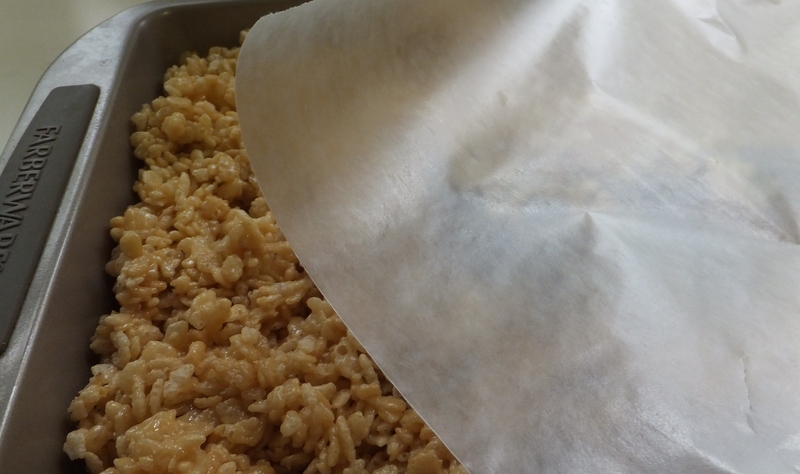 I used waxed paper to compress the treats. 4. 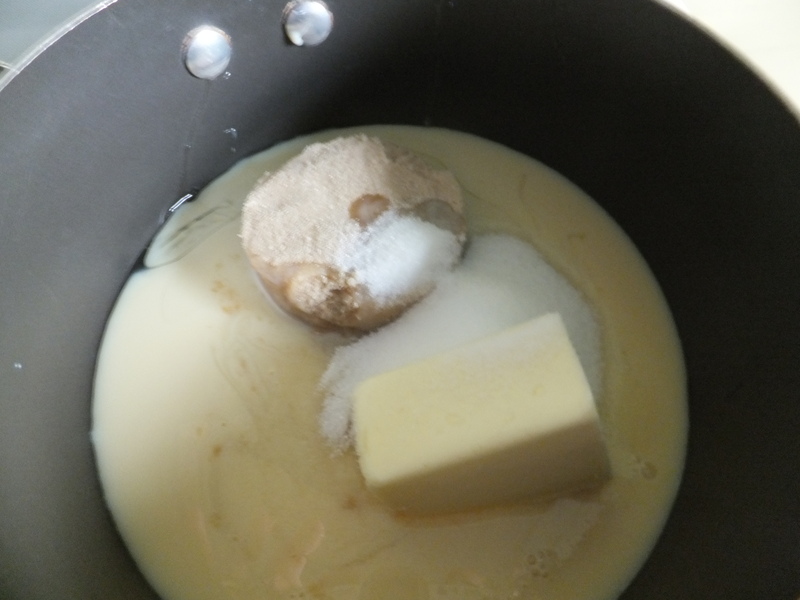 Set aside and let cool, about 45 minutes. 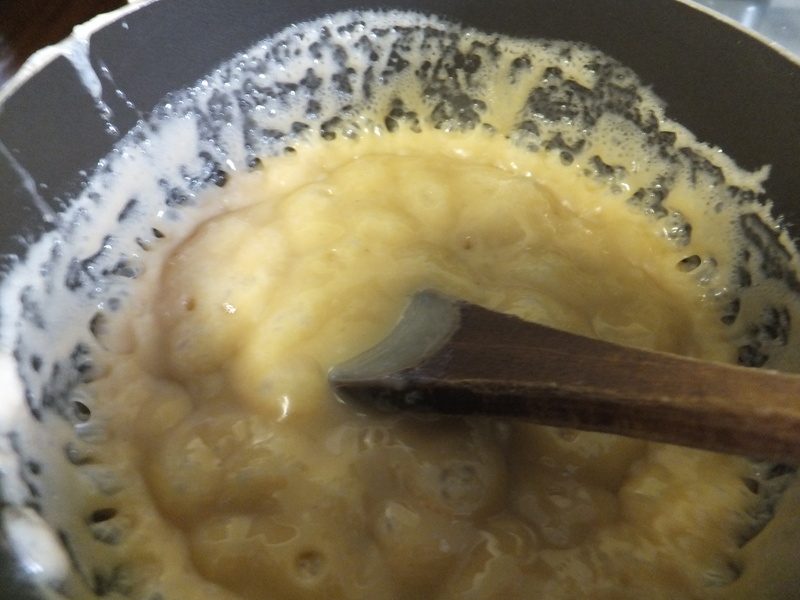 Invert and release from pan. 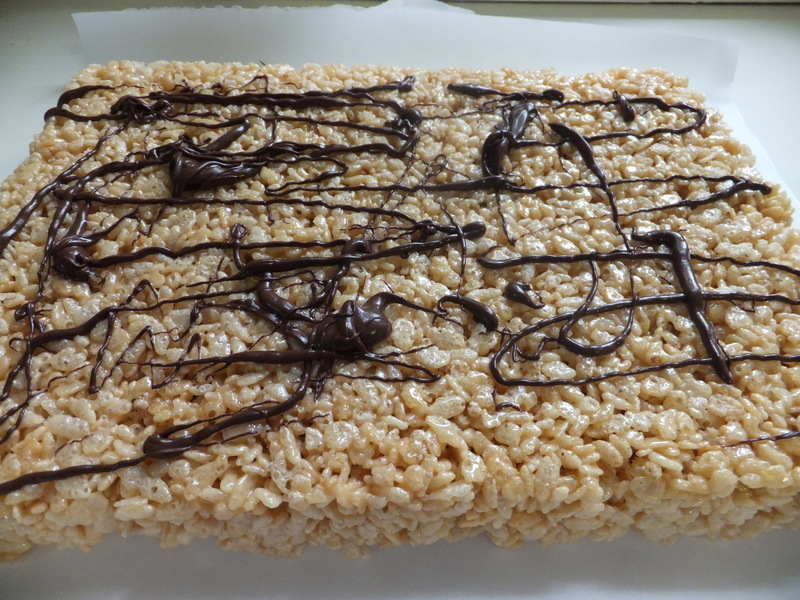 Drizzle with melted chocolate and refrigerate until set, about 15 minutes. 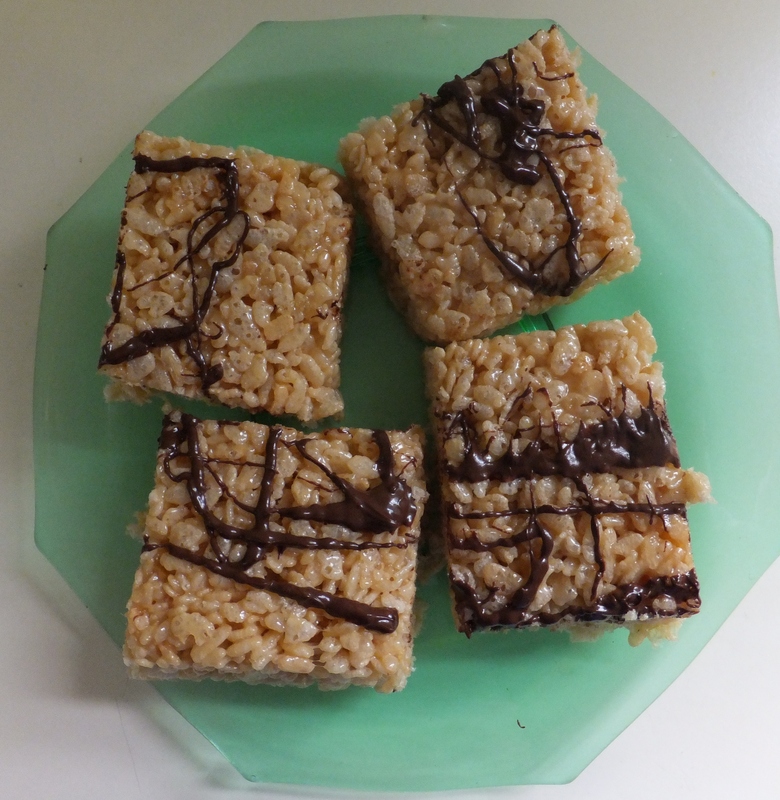 Cut into 15 bars. Now this step is when I ran into a problem. As you can see from the picture my chocolate was just lumps. 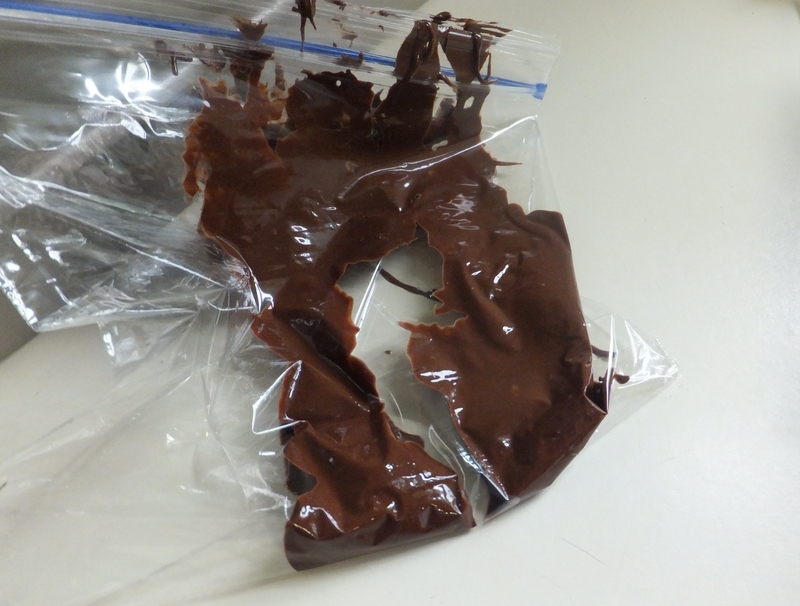 So I put the chocolate into a sandwich bag and snipped the end and squeezed the chocolate onto the treats. 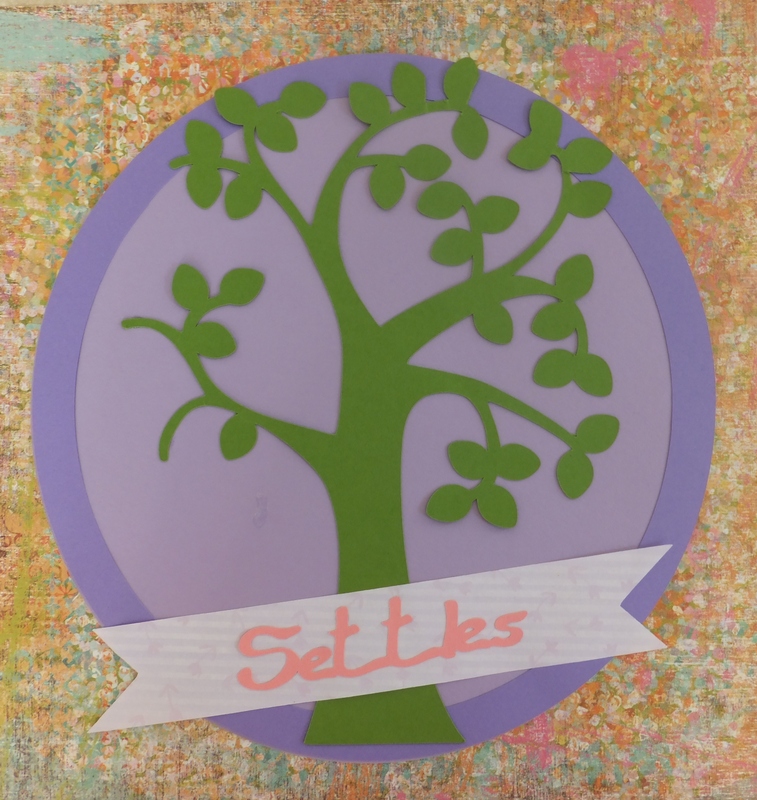 Here is another great FREE cut in the Cricut Craft Room. This is called Family Reunion T-shirt. 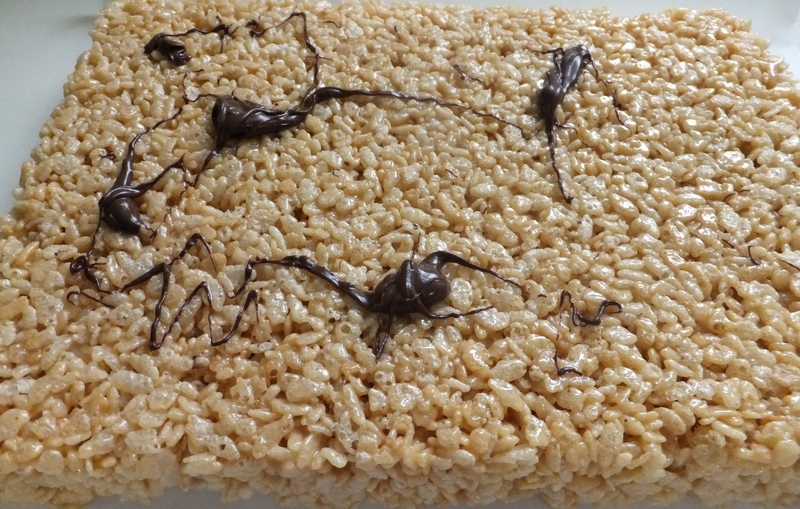 There is also a FREE font Type Candy which I used for the lettering. This will be the first page in a scrapbook full of pictures of my mom. 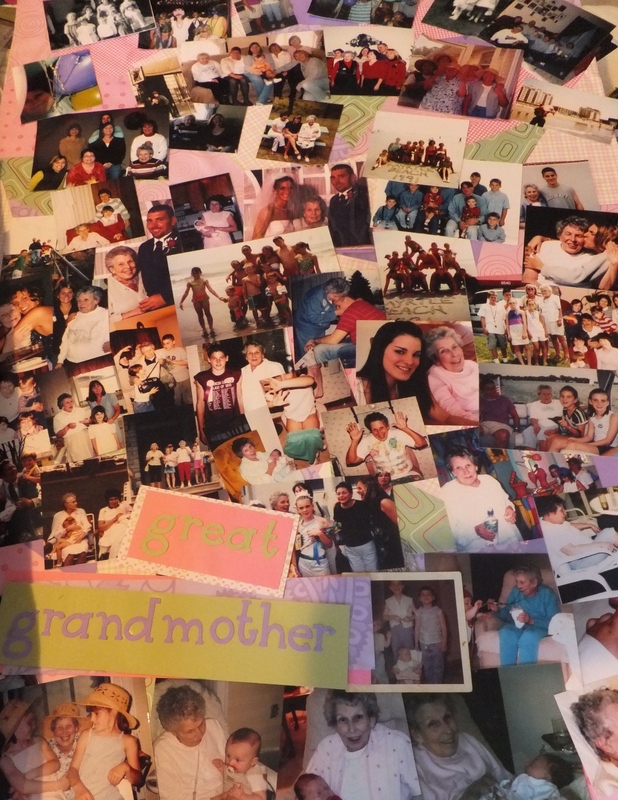 Like most families now, at my mom’s calling hours we had picture boards set up with pictures telling her life story. I brought those home and they have been under the bed awaiting a new home. This FREE cut may inspire me to get busy on that scrapbook. 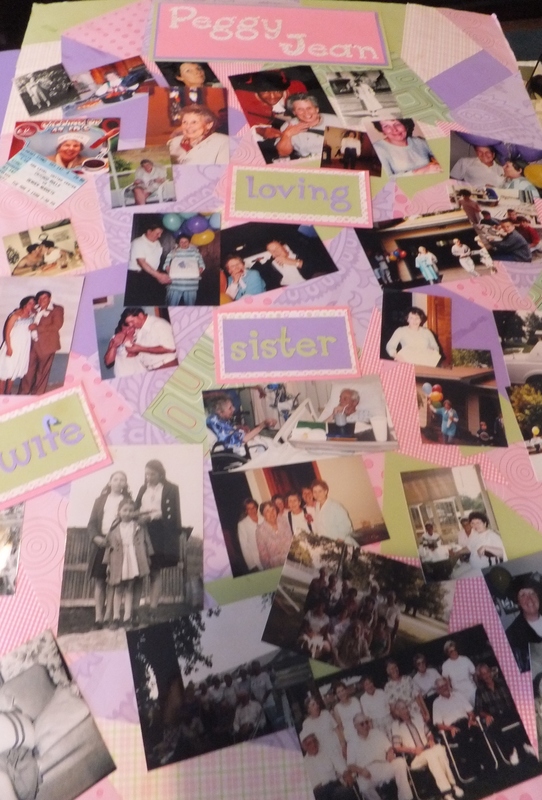 To make the cut for the scrapbook page, I made four layers on the mat. 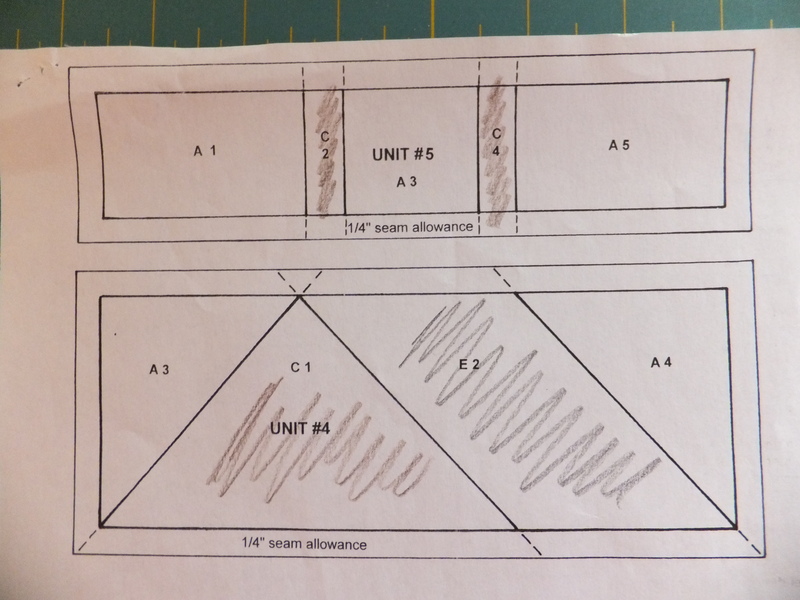 In this case I had to cut each layer separately as 3 of the layers are over 10″. The first layer is the pink solid circle. To make the next layer, click on the PLUS sign to the right of the LAYER tab on the top of the mat image. This layer is the green outer circle. 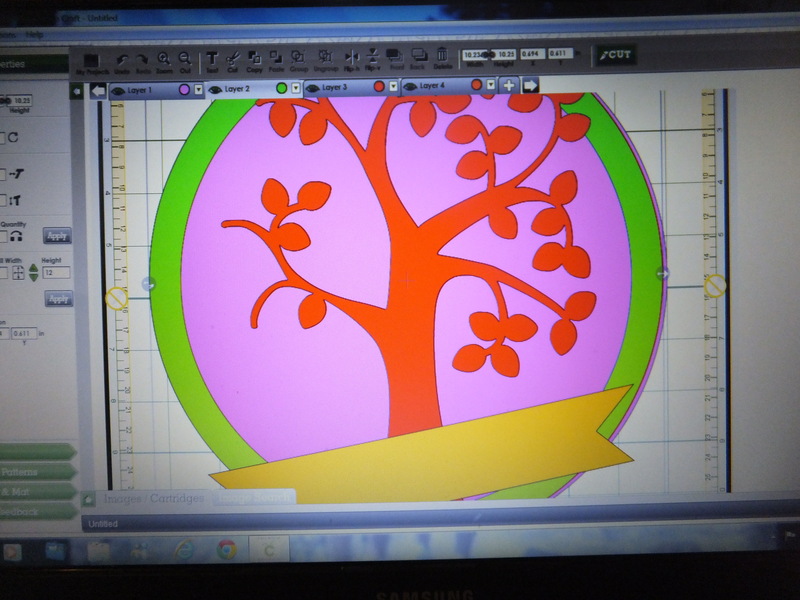 Layer 3 was the orange tree and 4th layer was the banner. Each image can be stretched or slanted by using the arrows located around the image. In this photo the pointer is on the top right arrow which allowed me to slant the banner. 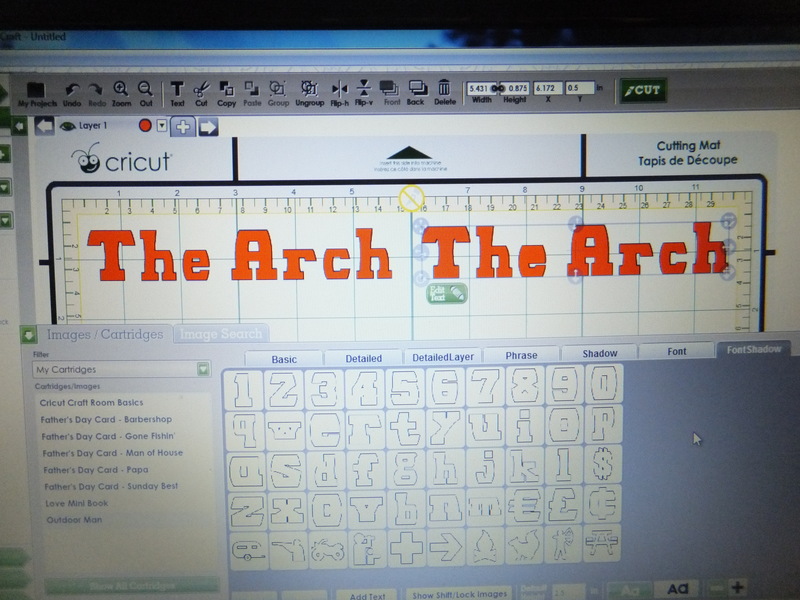 I then added a 5th layer and typed the letters in the Text box and adjusted the letter to fit the slant of banner. The font is the FREE Type Candy. You can check out earlier posts for instructions using the Text box. Don’t forget to check the Cricut Craft Room daily for more FREE cuts. This week they have added three new free cuts. I have embarked on finishing another UFO. This time I am in a little challenge with my good friend Barb. I started this quilt many, many years ago. 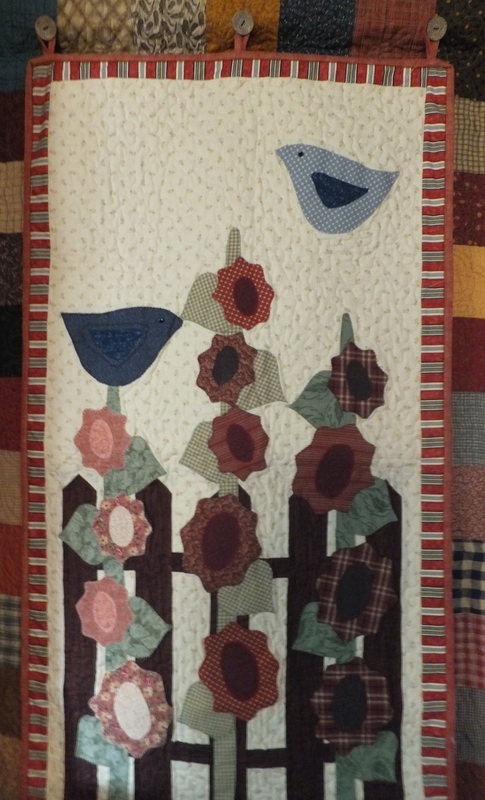 In 2010 at our local quilt show, Barb also purchased this quilt pattern. As she was showing my the pattern I remembered I had started the quilt maybe 10 or more years ago. We made big plans and vowed to work on our quilts. At that time I had the center courtyard completed. We looked around and purchased the silk ribbon for the embroidery and we worked on some of the blocks. Once again this quilt got pushed back into the corner. In May of 2013 we met and decided to really commit to finishing this quilt. 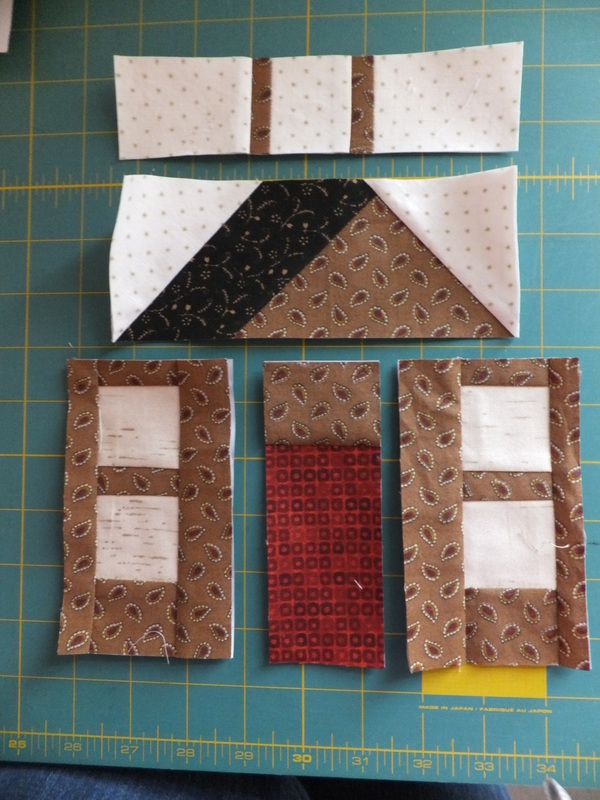 We are going to a get-a-way in Aug, so we made a pack to finish all the blocks and put them together at the get-a-way. 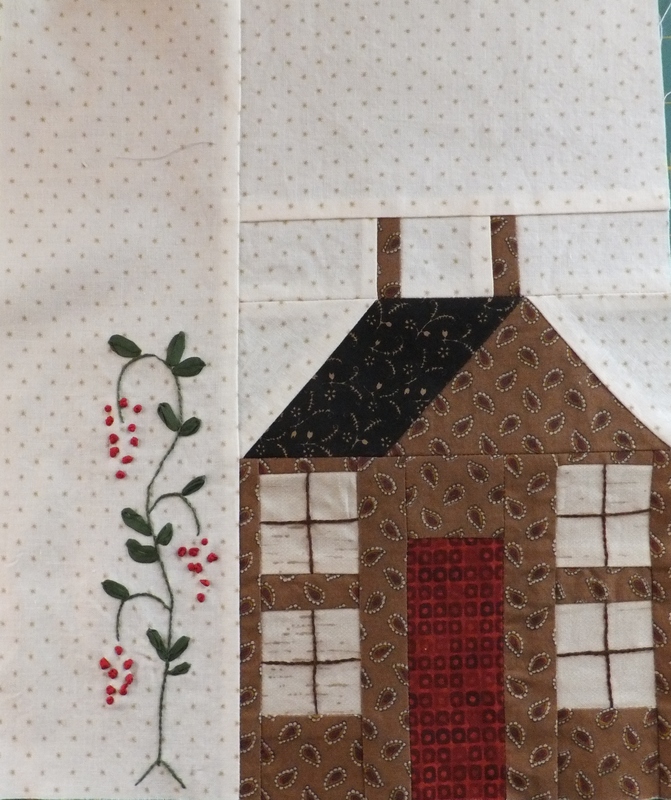 The pattern is part of “The City Stitcher Quilt Collection” by Janet Miller. 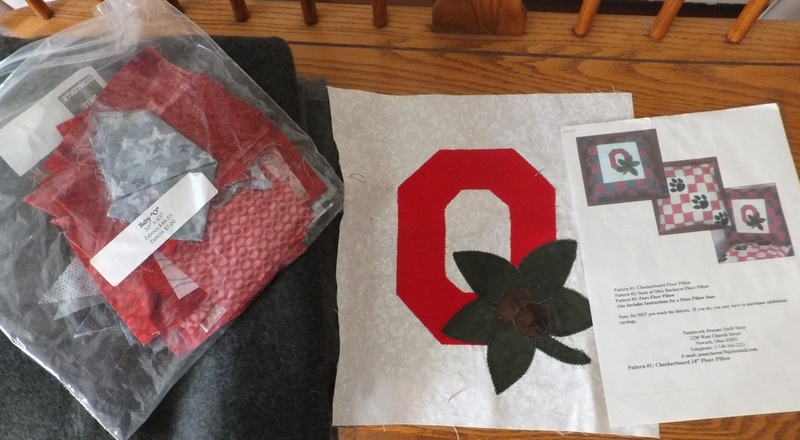 Janet included the instructions for applique or paper piecing. 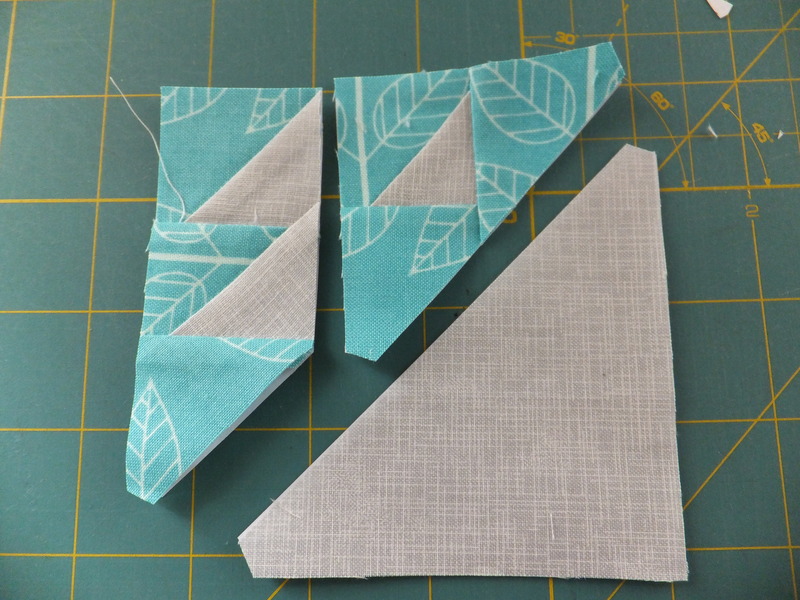 I decided to opt for the paper piecing. 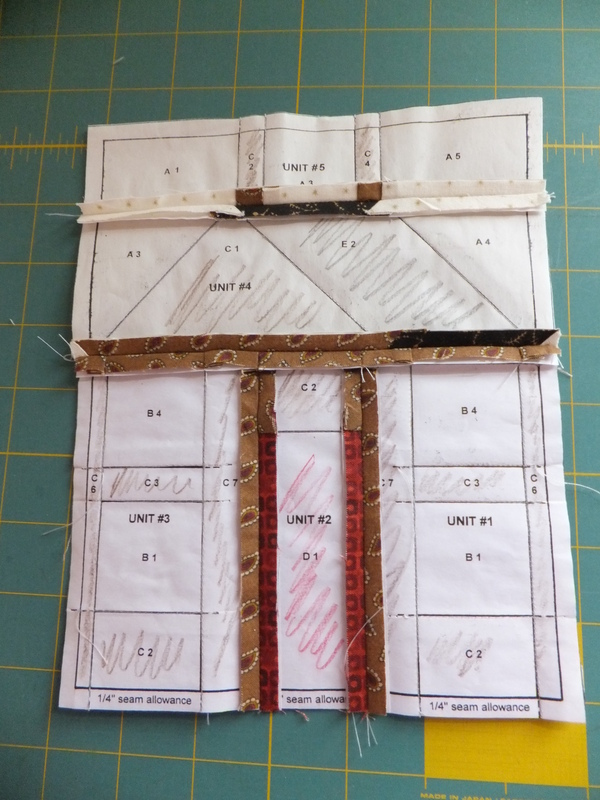 I have been doing quite a few posts on paper piecing, so I thought I would show you my process when I paper piece. 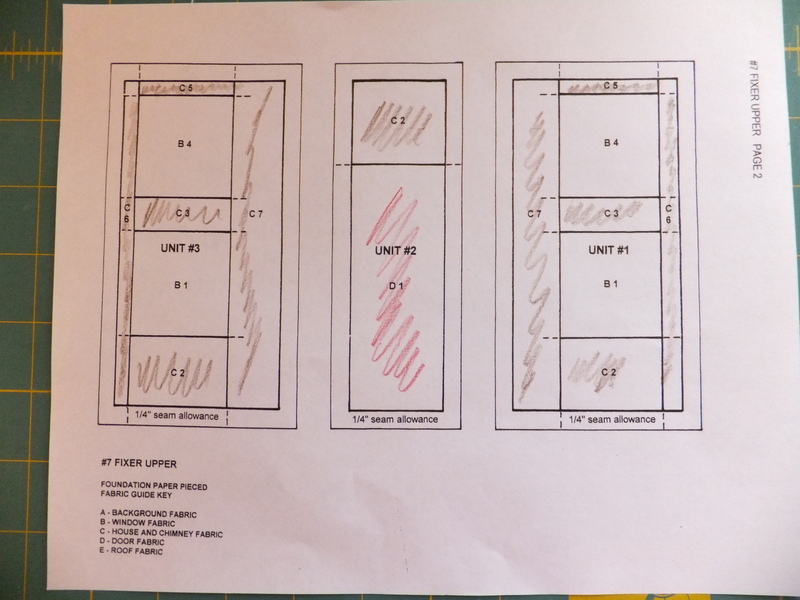 The first step I do is to take colored pencils and color the sections of my pattern. 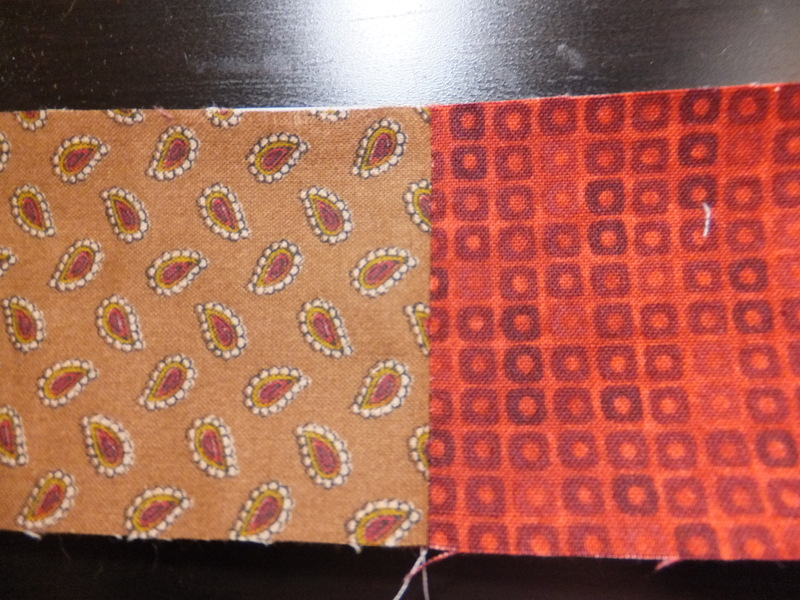 Next, I use a washable glue stick to glue the #1 piece to the UN-printed side of the pattern. Now hold your piece up to the light to make sure that is covers all the seam allowances. 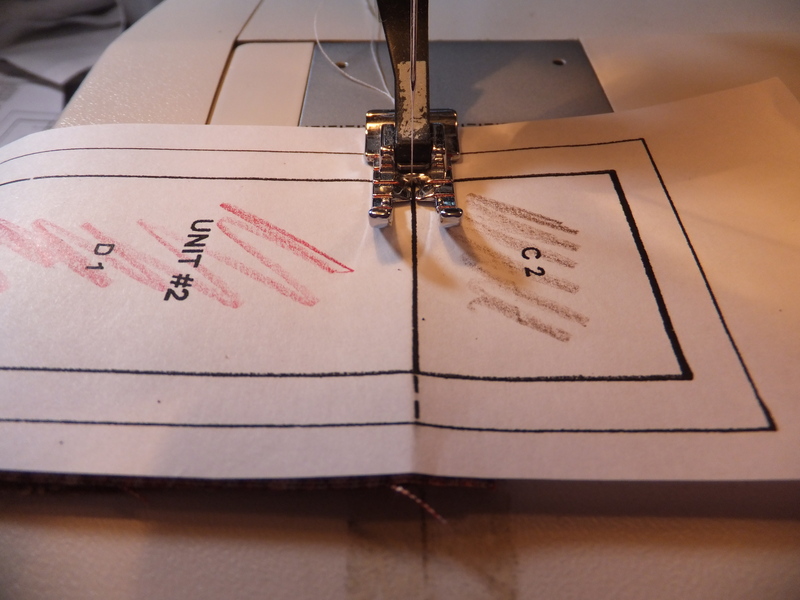 Fold the paper back at the seam line and finger press a sharp crease in the paper. 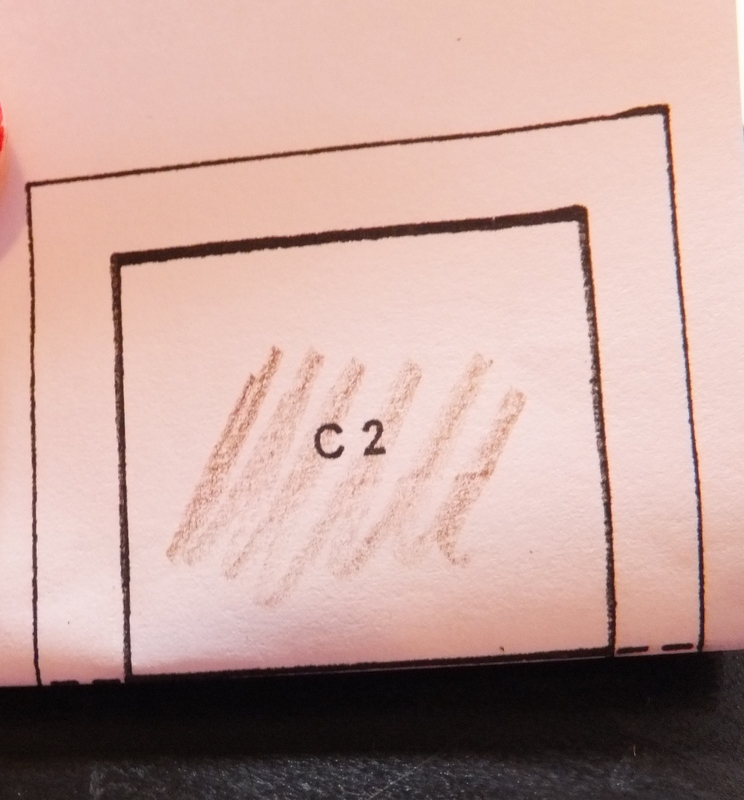 This crease will let you know where to place the second fabric. 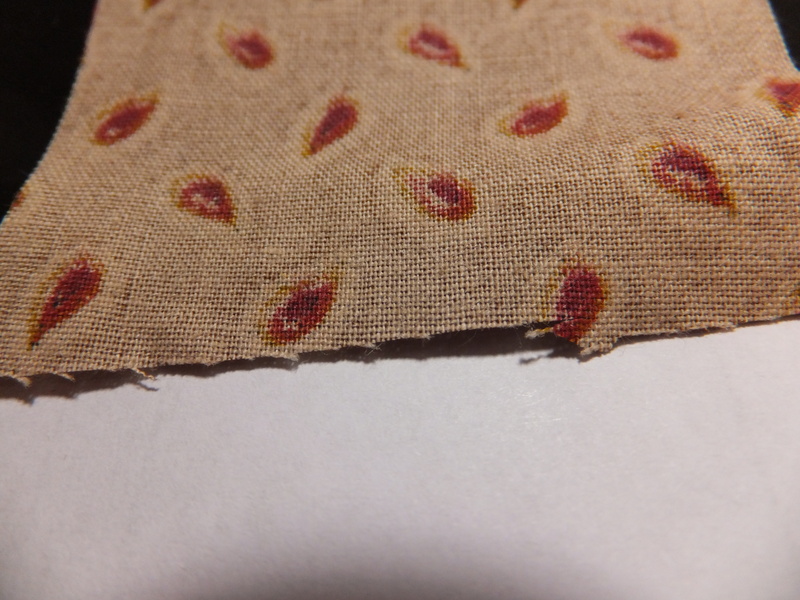 Lay the second fabric right sides together. Fold the paper back and the top pieces of the fabric. 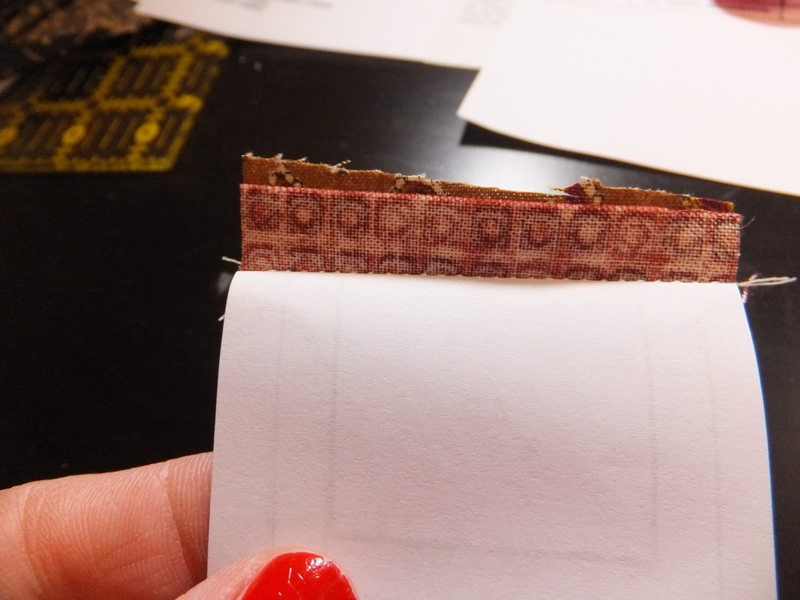 Trim ONLY the seams to 1/4 “! Make sure to take the time at each step to press your seams. Turn the piece over on the mat. 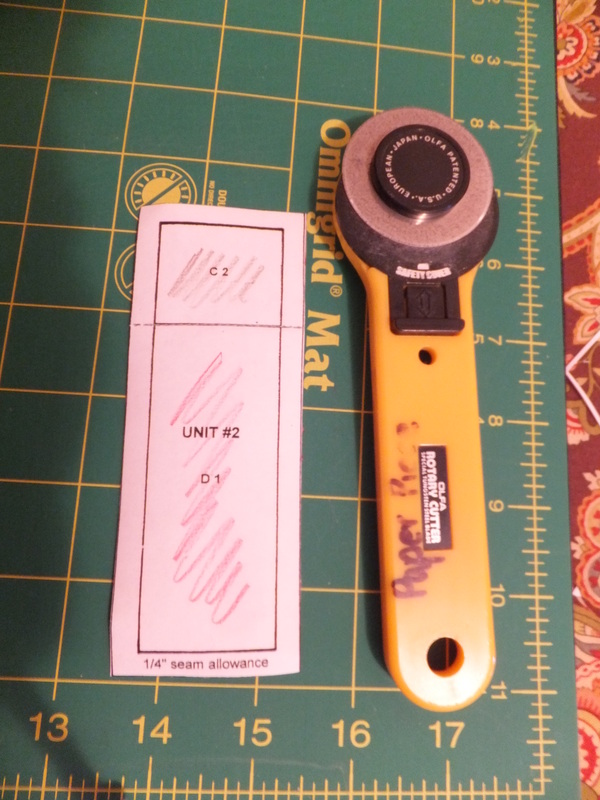 I have a rotary cutter that I marked just for paper piecing. 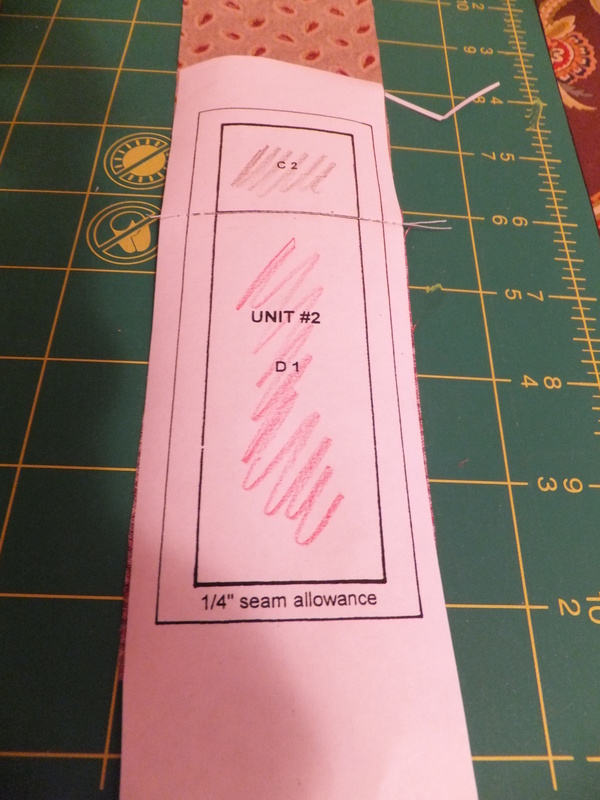 Trim your block on the seams allowance lines. 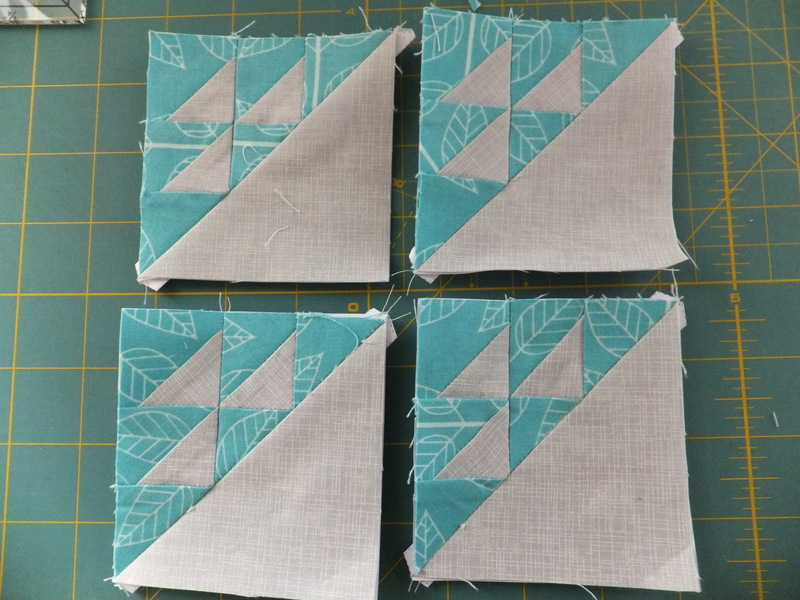 After you have completed all your blocks, lay them out in the order you will put them together. I now press the seams open! You are done. (except for the embroidery) Ok Barb…7 blocks out of 12 now stitched…only one with embroidery completed. Boy, Oh boy the timing was right for me in the Cricut Craft Room this week. The FREE cut is the Outdoor Man cartridge. I used it last night to make the cuts above for my recent trip to CO. I will admit I may go back and recut a couple of the phrases, since the patterned paper is hard to read. This is a great cartridge for anyone who camps or hunts. 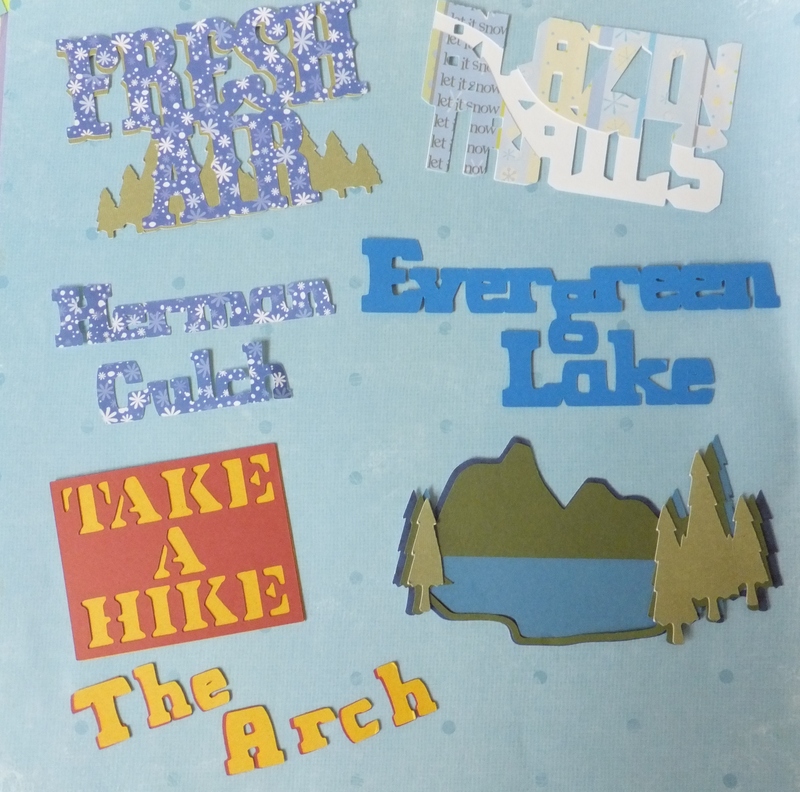 There are some great Phrases, the font above and many outdoor related cuts. One of our hikes on the trip was to The Arch. Here you can see the font and font shadow. I divided my space on the mat in half and placed both colors I wanted to cut on the mat at the same time. This way it only takes one push of the “cut” button to have both sections cut at the same time. If you notice the bottom of the card stock, you can see where I also used it to cut out “take a hike”. I used the same method when cutting out the lake. I divided the mat in fourths this time and made all my cuts at once. 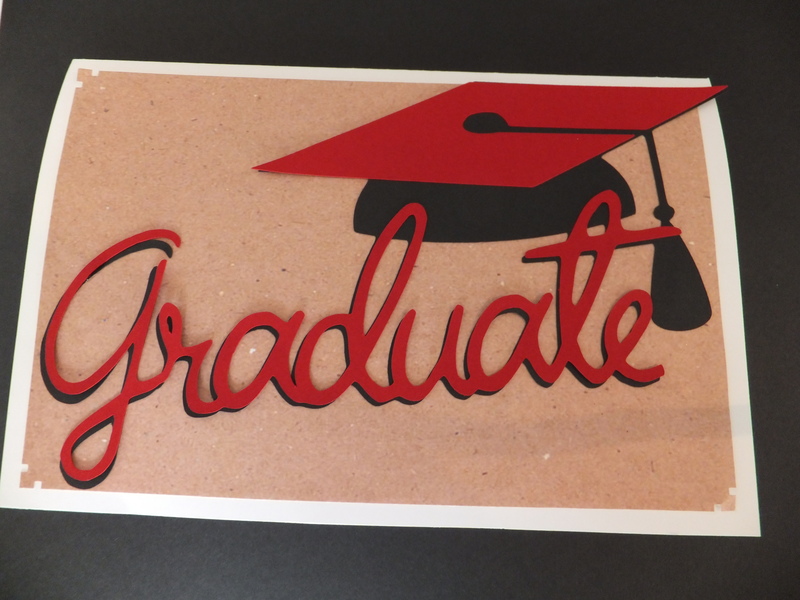 This cut is a prime example of the fact that if your Cricut won’t make a cut…It may be because of your card stock!! All paper is not made equal. 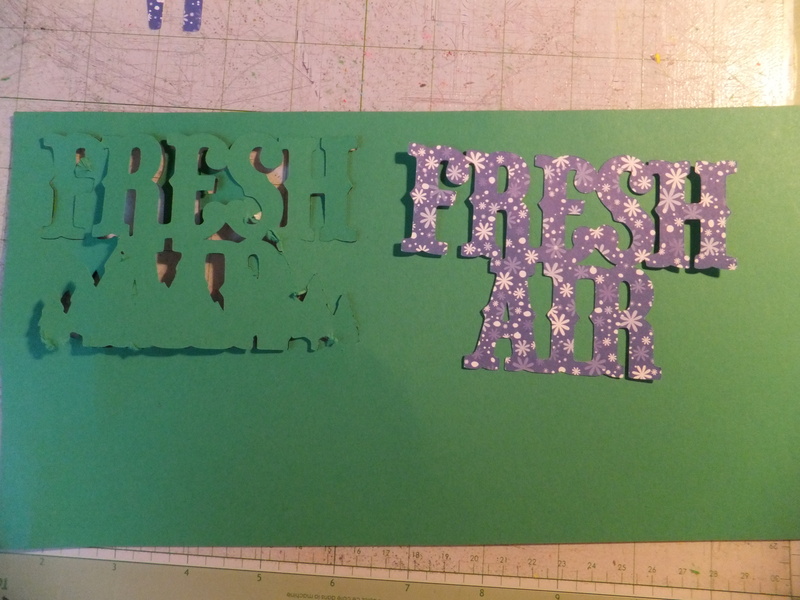 On this cut I used a green cardstock and the printed snowflake lightweight paper. The green did not cut out in some places. That was probably due to the fact that it was “cheap” paper. I used another green and it cut out fine. 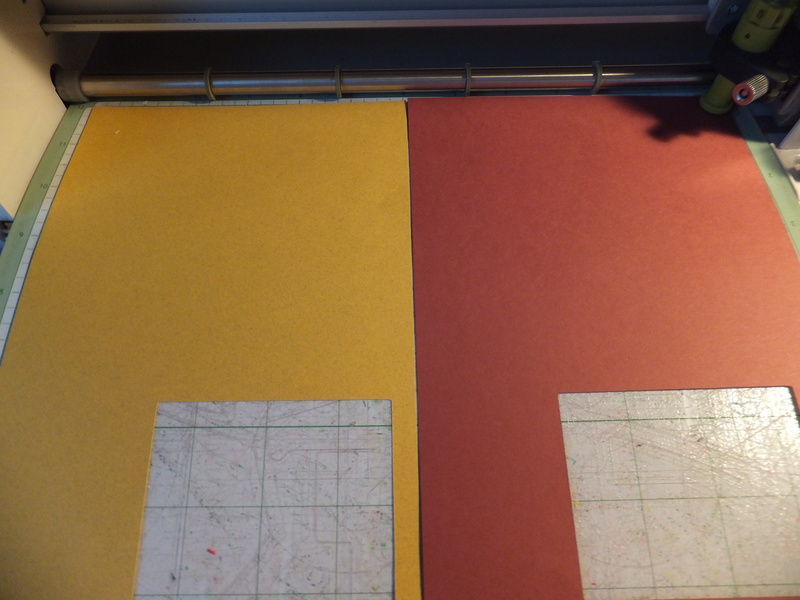 If you are having trouble with your cuts, try another cardstock or adjust the blade. 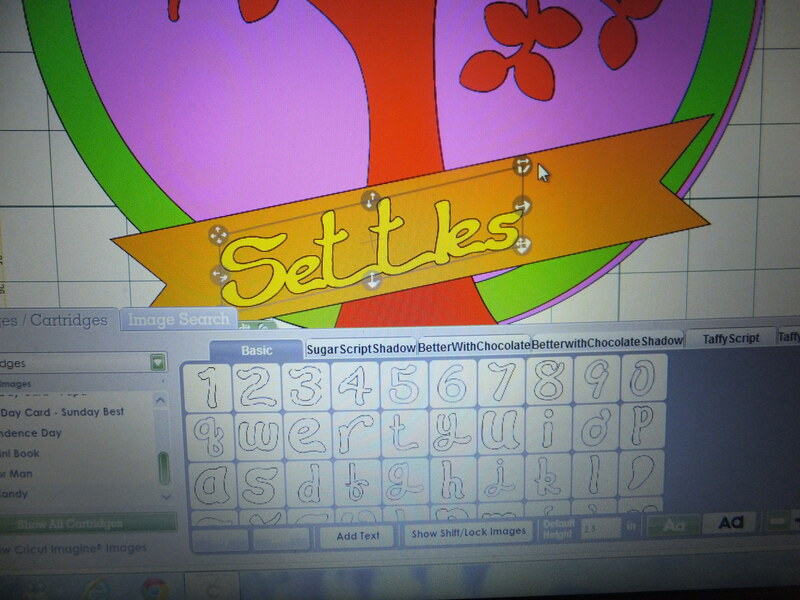 I can not say this enough…download the Cricut Craft Room and check it daily. Some FREE cuts are there for just a few days and some are there for a week or more. My advise is to make the cuts as soon as you can. In this case, I tried to think of what titles I might use when I scrapbook my photos of my recent trip. Happy cutting! It’s time for another post of my Farmer’s Wife blocks.. 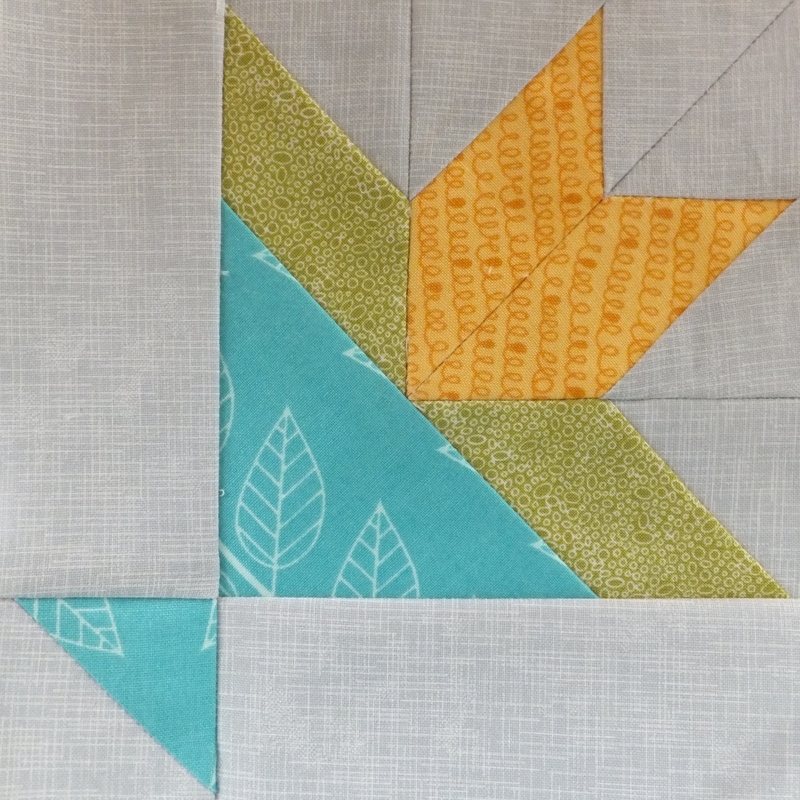 I paper pieced both of these blocks. 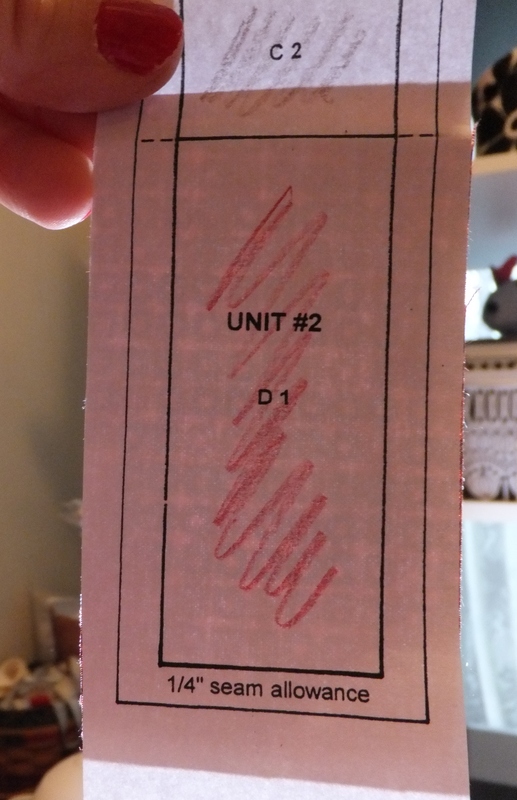 Then put the 4 units together! 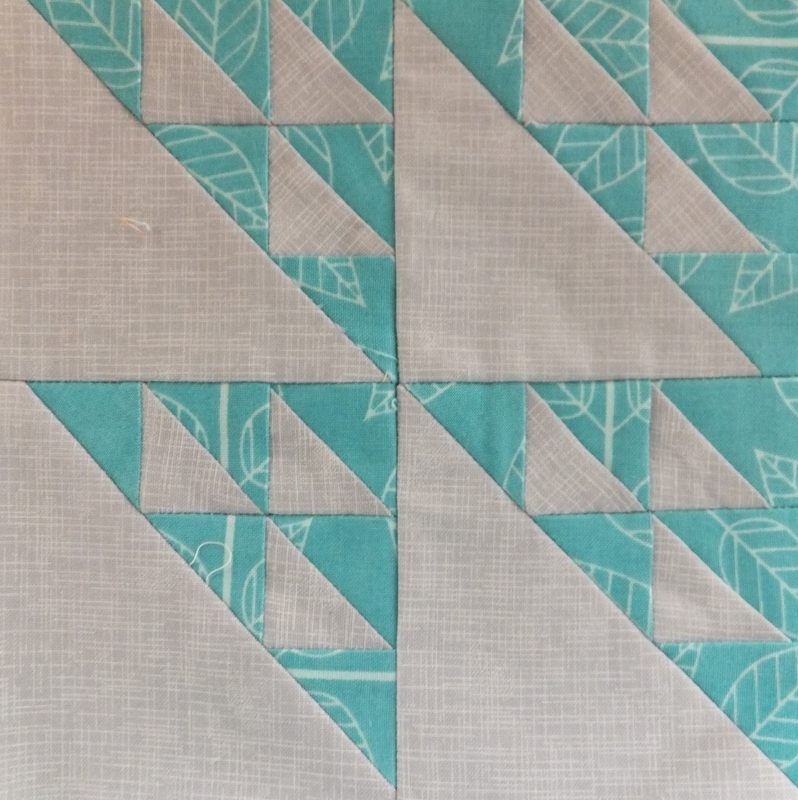 This block was also paper pieced. I would also like to give a shout out to Miller’s Dry Goods for helping me pick out my fabric and for the encouragement they always give when you are at their store. 10 down- 101 to go!